The patented technology and features of the FlowCell aid rapid extraction. The labyrinth acts as an effective powder trap, allowing powders, gels and semi-solids to be constrained without loss prior to testing. 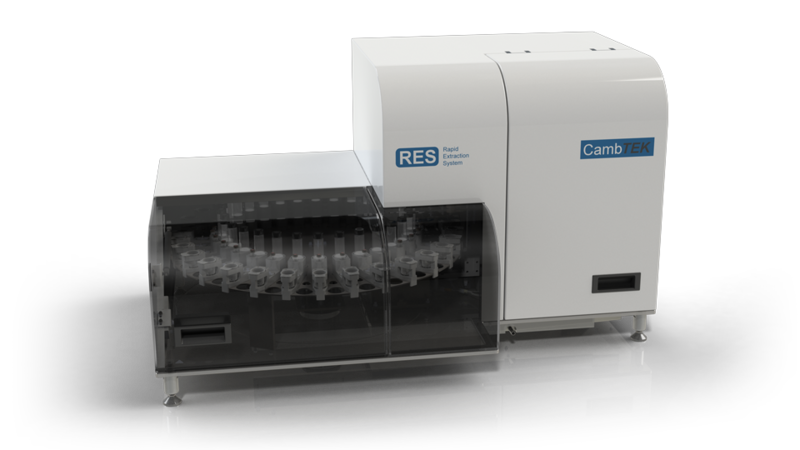 The optional RES ‘Flowtainer’ insert allows liquids and low-viscosity gels to be processed within the same workflow. The consumable workflow and sanitary design minimizes cleaning requirements. 11 types of Millipore filters are available, with an extensive selection of pre-filters, pore sizes, and membrane materials, suitable for a wide range of applications. Included are two borosilicate Chromacol vials, manufactured to meet international standards. All components carry a barcode to uniquely identify the consumable ‘family’, which allows for sample tracking, instrument method and safety error-checking, and ultimately greater compliance. After the sample has been prepared, any of the barcodes from that particular family can be scanned to access the related post-extraction sample report. 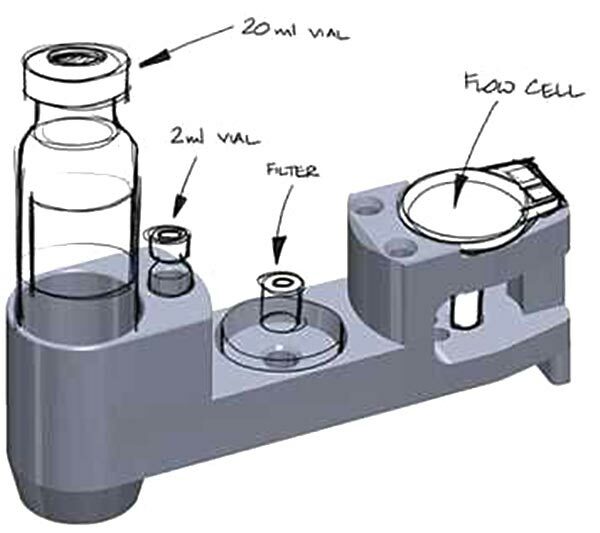 1 × FlowCell: Barcoded 9 cm3 or 14 cm3 sample capacity. Patented technology for accelerated extraction. 1 × 20 mL vial: Barcoded primary sample vial for collection of filtrate and dilution. Screw cap & septa. 1 × 2 mL vial: Barcoded amber HPLC vial, crimp top & septa. 1 × Filter: Choice of barcoded filter - see below for the full selection. Hydrophilic PVDF with glass pre filter. Suitable for processing and clarifying aqueous and mild organic solutions containing high particle levels. Hydrophilic PTFE for low protein binding processing and clarification of aqueous and organic solutions – (non-sterile). Hydrophilic PTFE for low protein binding processing and clarification of aqueous and organic solutions containing high particle levels. PVDF for processing and clarification of aqueous and mild organic solutions – (non-sterile). Nylon for processing and clarification of aqueous and organic solutions – (non-sterile). Nylon with glass pre filter for processing and clarification of aqueous and organic solutions containing high particle levels. Hydrophilic PTFE + graduated glass layer (10.0 μm to 0.7 μm) for low protein binding processing and clarification of aqueous and organic solutions with high particle levels– (non-sterile). Nylon + graduated glass layer (10.0 μm to 0.7 μm) for processing and clarification of aqueous and organic solutions with high particle levels – (non-sterile). Glass Fiber processing and clarification of aqueous and organic solutions with high particle levels – (non-sterile).